We’re still looking for volunteers in all areas! Please consider helping us out… You’ll get to meet some of the students and staff that your student will be spending time with this year. We will need four or five parent helpers to help fit uniforms on the workshop days. We will begin at 11am and go through 12:30pm. We’re hoping to fit one grade level each day, Monday through Thursday. No sewing — only snaps for hemming. If you are available and willing, please let Sandy Miller know. We will need one adult helper to staff the registration table collecting forms and payments each day of workshops, Monday through Friday, from 12:15pm to 1:15pm. If you are available and willing, please let Sandy Miller know. No previous experience necessary. We will need two bus riders, a truck driver, and a shuttle driver to get the students to Band Camp at Cal Poly Pomona on Tuesday, August 7th. (The shuttle driver will need to follow the buses to Band Camp and then bring the bus riders and truck driver back to LCHS.) We will leave at noon and return around 3:30pm. We will need the same number of adults on the return trip coming back from Band Camp on Friday, August 10th. Adults will need to meet at LCHS at 1pm and return to campus around 4pm. If you have never been to Band Camp, now is the time to check it out and see where your student will be spending the next four days. If you are available and willing, please let Sandy Miller know. We will need helpers to set-up, serve, and clean-up at the Family BBQ. Set-up will begin at 3pm. Serving begins at 5pm. Clean-up is when everyone has eaten. If you are available and willing, please let Elizabeth Bohannon know. Have your students make sure they have all their forms ready to turn in at the registration table just outside the band room doors near the parking lot. If your student is a Senior, Monday is the day for uniform fittings beginning at 11am. Make sure your student has dinner, either pack or dropped off, they’ll be hungry. There will be a break at approximately 5pm each day. Pick up your student at 9pm. They’ll be tired. Uniform fitting for Juniors beginning at 11am. Bring in forms if you haven’t already. Last day to sign-up for rooming at Band Camp. Uniform fitting for Sophmores beginning at 11am. Uniform fitting for Freshmen beginning at 11am. In the Student Handbook you will find all the information needed for the entire year regarding grading, performances, and needed donations. Please read through the entire handbook so you know what we expect, and then fill out and sign the Handbook Agreement Form. You will need to bring this along with the Field Trip Form to Band Workshops no later than August 2nd. All parents/guardians of Marching Band and Color Guard students should fill out the online registration form. This information will serve as our database to contact and inform you throughout the year. Transportation donations for band and color guard are now given to the MPA. If you play a sport, then you need to pay into ASB’s transportation donation. Please do not pay ASB for the Band and Color Guard’s transportation donation. The registration form lays out the needed financial support to make our program work. 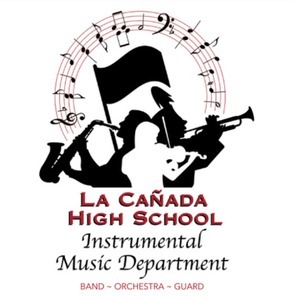 The Instrumental Music program receives no district funding and we rely heavily on your generous hearts and keen investment in your child’s musical experience. Lots of info will be shared. Please mark your calendars now! 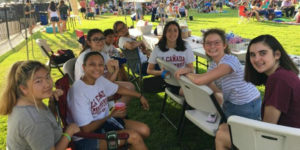 Stop by the LCHS Band Booth for some yummy treats at Music in the Park… each Sunday evening in Memorial Park! See you there! Band Camp is August 7th-10th, and we stay overnight at Cal Poly Pomona. We will be departing LCHS at 12pm on Tuesday, August 7th and will return on Friday, August 10th around 4pm. All your items must fit in ONE BAG since we are limited on space. And yes, it is possible to fit it in one bag. While at band camp we will be working hard to begin the long process of learning and perfecting our show. It is vital for everyone to attend and participate to the fullest. We will also be having a lot of fun during and outside of rehearsals as well. It will be a great beginning to our show. World Cup is the best! There were so many games that were amazing and I could honestly cheer for either team at times. Made it a fun summer of sport. I love the team aspect of soccer. Each person on the field makes a difference and an impact, all working to make that final goal. It is truly a team effort. As we get ready for band workshops to begin, please remember that everyone has an impact on our show. Preparation, practice, and performance are all linked to build our successful season. I am looking forward to every aspect of the season and all the new and old things we continue to master and make better. See you soon! Enjoy the end of summer! Play your instrument! Learn your music! Upon our arrival home from Cal Poly on Friday, August 10th, we will be giving everyone a sneak peek of the opening number to Altered Perspectives. We will also be having a wonderful time of community and food with our BBQ cookout grilled by LCHS’s own Mr. Dan Yoder. We will have the meal in front of the North Gym beginning at 5pm. The show will begin on the field roughly around 6pm. Be sure to buy your tickets soon. You can find the ticket order form in the handbook or at the donation check-in table. Band and Color Guard Members do not need to buy a meal, but all others do. Come welcome your children home and have a delicious tri-tip sandwich (or vegetarian alternative) from Grillmaster Yoder.